I found this image on the web, which shows very clearly what’s the difference between the camera lenses when capturing. 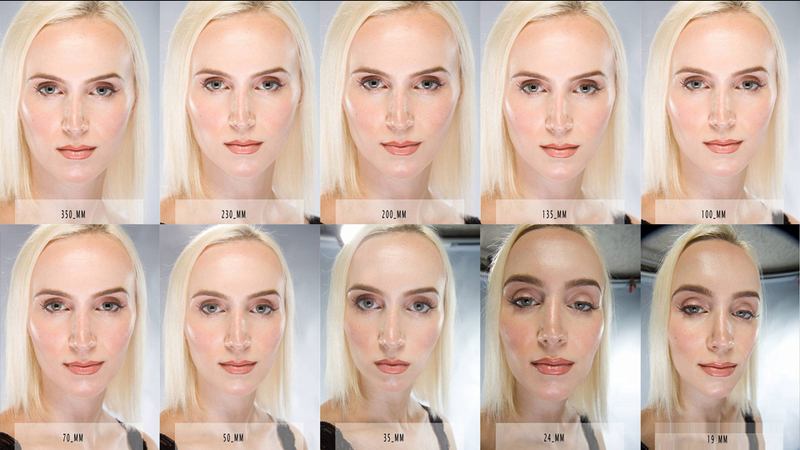 You should be able to notice the exaggeration of the facial features you get with wide angled lenses (24mm, 19mm). The narrow lenses such as 200mm, 350mm are getting a little flat output. From what I have read, and learned from the photography is that the best lenses for shooting faces is somewhere between 90mm and 110mm. By the best I mean most realistic results. Of course an exaggeration might help you support a certain character design.